The countdown to the annual pilgrimage is on. From 17-25 November 2018, Motorcycle Live will fill four halls of The NEC to bursting, with brand-new metal from over 35 leading manufacturers; all the latest kit and accessories; 10 interactive riding features; non-stop live entertainment; biking celebrities and an all-new, never-seen-before high octane extravaganza – Moto-Cirque. Adults save £5.50 by buying in advance rather than on-the-door, paying just £19.50* instead of £25.00. Spend the saving in the bar while debating which new model is top of your wish list, or put it towards that must-have bit of kit from one of the many retailers at the show. If you’re bringing the kids, under 10s get in FREE and 11-16 year olds are just £1**. For 2018, there is an exclusive offer in place for Motorcycle Live visitors who book The NEC car parking in advance, resulting in a further £6 saving. Of course, those arriving by motorcycle can avoid the NEC’s parking fee altogether and park for FREE - and there is no need to book in advance. Advance ticket buyers purchasing online are automatically entered into a prize draw to win one of hundreds of on-the-spot prizes, from caps and t-shirts to signed merchandise and event tickets, all donated by Motorcycle Live exhibitors. You could end up with a VIP trip to BSB or a book signed by your racing hero, so it’s definitely worth checking! Around 10,000 bike fans could be flocking into Motorcycle Live on any given day – that’s a lot of people who potentially need to buy their tickets from the box office. Book in advance, get an e-ticket and walk straight into the halls without passing go – it’s a no-brainer! Pay a little extra for your advance ticket and get an Oxford HD MAX disc lock worth £25.00 thrown in for good measure. This £25.00 advance ticket offer is only open to people buying their ticket before the show opens on the 17th November, and locks are collected from the Oxford stand on the day. 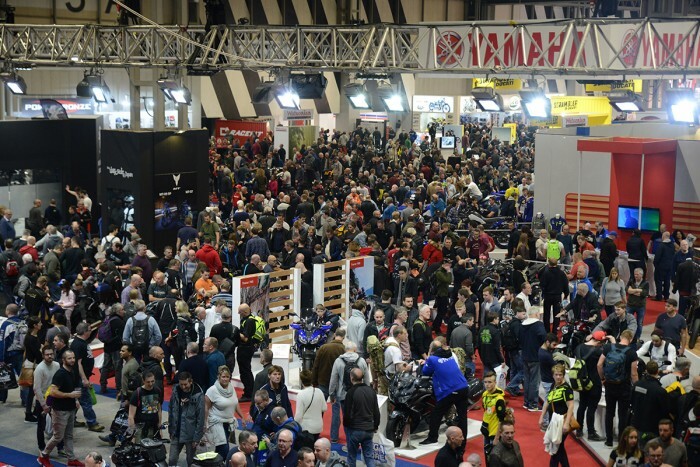 Motorcycle Live 2018 takes place at The NEC, Birmingham from 17-25 November. Advance tickets for Motorcycle Live are on sale on 1 August priced at just £19.50 per adult, £12 for Seniors, £1 for 11-16 year olds* and FREE for children aged ten and under**. There is also a £25 advance ticket, which includes entry to the show and an Oxford HD MAX disc lock worth £25.00.